You may have seen the article about Henrico Farms in the Mecklenburg Sun. If you did, then let me give you a bit more info. If not, why not click here and read it? This article appeared in the local paper in Mecklenburg County, VA. The article mentions that this is a fifth generation farm, well this isn't quite correct. This is however, fifth generation farm land. Community Supported Agriculture (CSA) is a beneficial partnership between farmers and their community members. CSA members ensure a reliable customer base and income for their CSA farmer during the growing season. 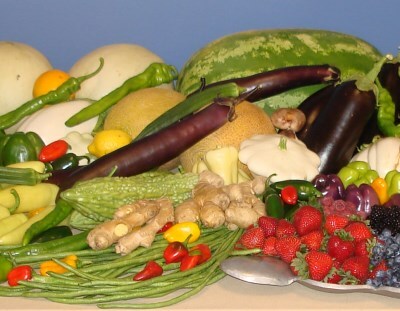 In return, their CSA farmer harvests a weekly share of fresh local produce from May to December. In our CSA farm share program you have the opportunity to pre-purchase a share of the harvest before the growing season begins. What is a Share Partnership? It works just like a subscription to your favorite magazine. Our unique CSA delivery system allows you to select from a weekly display of 7 to 10 freshly picked sustainably grown local produce items.